Iron Maiden were on a roll. 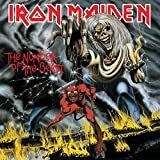 1982’s ‘The Number of the Beast’ and 1983’s ‘Piece of Mind’ had shot the band to the top of the metal world, and if there was finally any doubters left that didn’t think the band belonged, then 1984’s ‘Powerslave’, the Brits’ fifth studio release, really established them as one of the top metal acts around. 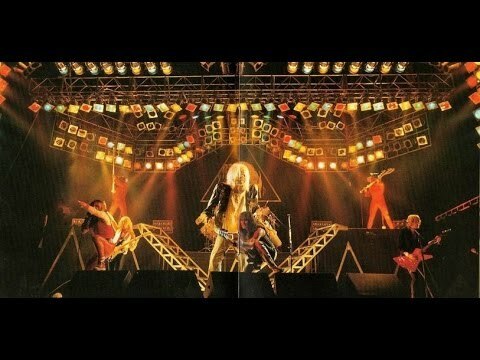 What followed was the “World Slavery Tour”, which saw Maiden embark on a trek around the globe with an elaborate stage show that encapsulated the energy and imagery of their music. So what’s next? How about a live album to commemorate the tour? Which brings us to the first of many live albums the band would put out; ‘Live After Death’. Split over two discs, the first recorded in California, USA while the second in London, England, ‘Live After Death’ highlights the energy and enthusiasm of the band in their early days. Featuring all the major hits from their first five albums, including ‘Aces High’, ‘Run to the Hills’, ‘The Trooper’, ‘The Number of the Beast’ and ‘Phantom of the Opera’, the performances and production are all of a high standard, however, the audience can be a little hard to hear at times, which kind of ruins the experience, but as a whole, this is a good live release. Though, with that said, I’ve always preferred studio albums to live ones, and as it is, ‘Live After Death’ does seem a little outdated today, considering the wealth of live albums the band would go on to produce. Still, it has its moments and isn’t bad by any means, there just isn’t really anything to entice me to choose this over any of Iron Maiden’s studio efforts instead. 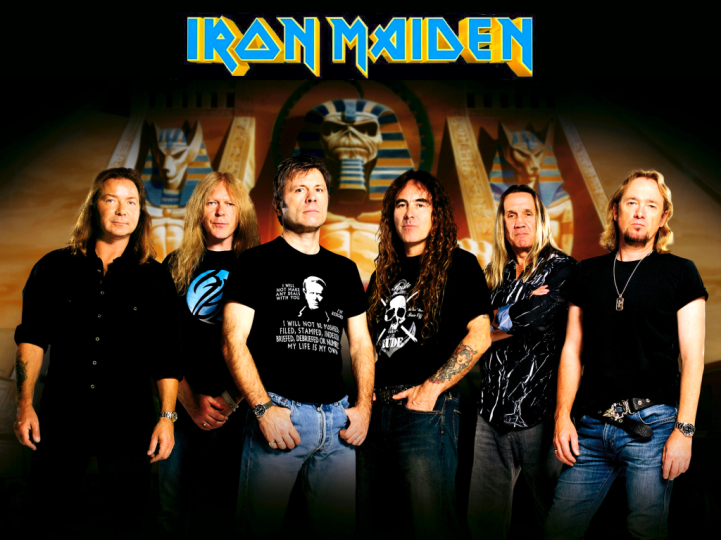 Fresh off of the success of 1984’s ‘Powerslave’ and the 1985 live album ‘Live After Death’, Iron Maiden were well and firmly at the top of the metal world, and their run of strong releases would continue with ‘Somewhere in Time’, an album which saw the band continue to enter progressive territory with their writing, with longer songs and the addition of keyboards. However, stylistically this is still very much Iron Maiden. By this point the band have clearly defined their sound, and there’s not much point in tweaking what already works. With blistering guitar harmonies and wailing vocals, Maiden have clearly hit their stride by this point in their career. The use of keyboards adds an atmospheric, spacey feeling to the music, giving ‘Somewhere in Time’ its own identity amongst the bands discography. With a solid production and some of guitarists Adrian Smith and Dave Murray’s finest guitar tones, the sound here is timeless. Even after all these years, the album holds up well for both its sense of melody and its metal edge. The lyrics are a lot more introspective than previously, a sign of the bands world-travelled weariness after their constant touring. But it also makes for some of their most sincere and personal songs, particularly in ‘Wasted Years’. 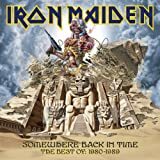 With highlights including the aforementioned ‘Wasted Years’, ‘Stranger in a Strange Land’, ‘Caught Somewhere in Time’, ‘Deja-Vu’ and ‘Heaven Can Wait’, there’s an abundance of quality material here, making ‘Somewhere in Time’ another in a string of classic albums. 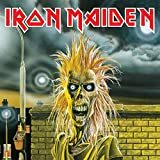 Released in 2002, 'Edward the Great' is a compilation album by Iron Maiden that focuses mainly on the bands singles and "hits", as opposed to songs that are generally favored by fans. As a result, while it's a decent enough selection, it's also very predictable. Of course, the music itself is still great! I mean, come on, it's Iron freaking Maiden! 'Run to the Hills', 'The Trooper', 'Can I Play With Madness', '2 Minutes to Midnight' and 'The Number of the Beast'... these are all iconic metal classics! However, there's a lot of songs missing, even by 2002, there was an absolute wealth of material that should have been included on a release such as this, but wasn't due to time limitations. Overall, you're better off going for 'Best of the Beast', especially if you're new to the band. 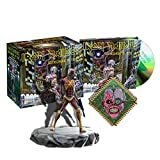 Despite being released six years earlier, it has a more well-rounded track listing, and the packaging as a whole is a lot nicer, with more pictures and detailed information on the band. Leave 'Edward the Great' to collectors like me. 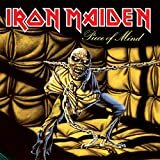 Iron Maiden's first major compilation album, released in 1996, may seem dated today, but it contains some of the bands strongest and most memorable material up until that point, and seeing as this was released after Bruce Dickinson initially left the band (he'd rejoin them in 2000), this perfectly summarizes what many consider to be the groups "golden era". As is always the case with compilations, there's the argument for which songs should have been included and excluded, and in this regard 'The Best of the Beast' pretty much covers all the essentials. 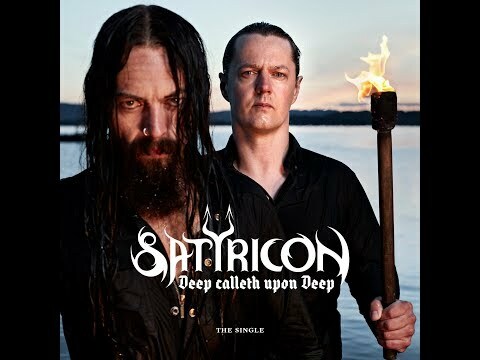 There's maybe one or two things I'd have preferred, perhaps at least one Paul Di'Anno-era song to be featured (there is one, but it's a live version sang by Dickinson), but that isn't too much of a detriment to the overall product. Featuring all the classics such as 'Aces High', 'Run to the Hills', 'Can I Play With Madness', 'Be Quick or Be Dead', 'Fear of the Dark', 'The Number of the Beast' and 'The Trooper', this is a great starting point for newcomers to the band (and I say this from experience, as this was my first Maiden album). There's some fantastic artwork used for the covers and inlays, with plenty of photos, lyrics and liner notes in the booklet, and seeing as it featured most of Maiden's early hits, this makes for a nice overall package for fans of the band. However dated it may seem today, it's still a worthy addition to the collections of die-hard fans. Universally cited as one of the absolute best live albums of all time, LIVE AFTER DEATH is the first live album / video release of IRON MAIDEN’s classic early Bruce Dickinson years and was recorded during their “World Slavery Tour.” Despite lasting a whopping 331 days, this double LP album only took two venues as their source for representing their electric live performances. The first 13 tracks were recorded at the Long Beach Arena in California, USA and the remaining five tracks were taken from a night at Hammersmith Odeon in London. While LIVE AFTER DEATH was released both as audio LP and video VHS in 1985, the two aren’t exactly identical in content. The audio LP originally contained 18 tracks (one of which is “Intro: Churchill’s Speech”) but the VHS visual experience only had 14 tracks. Unfortunately when LIVE AFTER DEATH was originally released on CD it was too long for a single disc and instead of simply issuing a double disc, EMI unwisely decided to cut the last five tracks which included the Odeon performance, therefore it is highly advisable to obtain the Sanctuary remastered version which was released as a double disc and retains the entire run of one classic song after another. LIVE AFTER DEATH is the absolute perfect live album. I very rarely put live albums high on my list of favorites because more often than not something or many things prevent them from capturing my attention and worthiness as essential. If it’s not the weak production values then it is the inability of the band to capture the magic that is manufactured in the studio. That is not the case here. 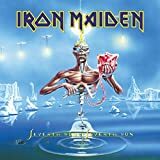 IRON MAIDEN was at the pinnacle of their creative prowess at this point and after several outstanding and classic albums to mine for material, they perfectly execute these live performances and offer every little ounce of excitement heard on the studio releases. 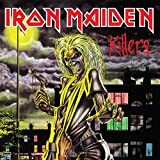 Bruce Dickinson nails the vocals and the thundering trio of Steve Harris’ bass and the guitar synergy of Dave Murray and Adrian Smith accompanied by Nikko McBrain’s stellar drumming style doesn’t get any better. While most of the tracks are performed rather faithfully to their studio versions, there is plenty of live improvisation taking places as well. Standout moments include Bruce’s attempt to get audience participation on “Running Free” and another great difference can be heard on “Revelations” where the tempo is upped and Bruce changes the vocal phrasing to make the track sound different and refreshed. 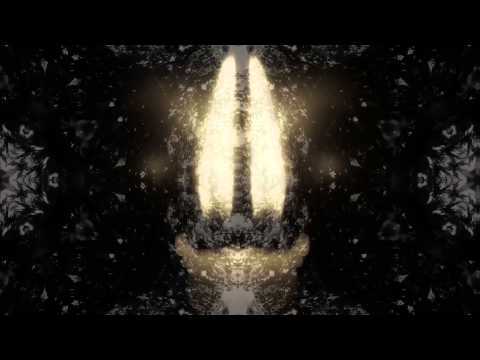 The video release offers all the theatrical visuals of the tour. 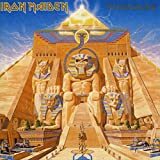 The “Powerslave” album was based on ancient Egypt and likewise the stage was Egyptified to the max with sarcophagi, hieroglyphs and a mummified Eddie embellished with ridiculous amounts of pyrotechnics. The tour was a smashing success and this release whether it be audio or video is the perfect testimony to the genius that went into every single detail. The sound and mixing is perfect as well as Martin Birch found the perfect balance of every cast member and delivered one of the most satisfying production jobs for a live release that i have ever heard. In the visual department Jim Yukich perfectly captured two nights in Long Beach showing a great band doing great things at the peak of their game. Another piece of perfection with this one is the brilliant cover art of Derek Riggs surpassing previous album themes of Eddie as the mascot by incorporating those themes of previous albums covers and then putting it all on steroids. The spread of the album is breathtaking in content and color with the boldness of the yellows and blues. Every aspect of talent on board with this release guarantees to wake the dead. I cannot find one negative thing to say about it. It is true that Bruce doesn’t hit every note exactly as on the studio version every single time but when he doesn’t he offers interesting new ways of interpreting the classics. 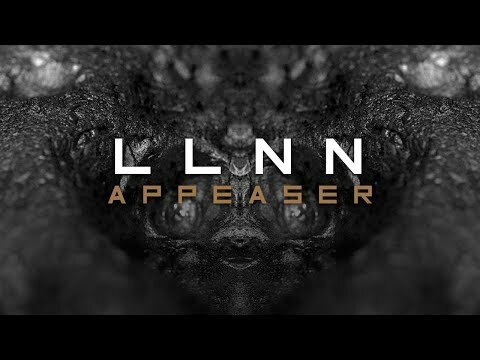 This is simply one of the most perfect live releases i have ever encountered and even MAIDEN themselves haven’t even come close to achieving similar results. Masterpiece. I enjoyed this rockumentary on the Irons thoroughly because it did not try to emulate the plethora of other rockumentaries we have all seen that focus on the infighting of stage crews and band members encountering one disaster after another (Metallica, Anvil) and then at the end they all make up and play their last song together. The Spinal Tappiness of such docos is worn out now. This doco on Maiden does the opposite, very little goes wrong and the band are always in high spirits, having fun and getting on. Now they have grown up, even their families go on the road with them. They commend each other in interviews as essential to the band and all have positive things to say as to the role of each member. They like to tease the air hostesses with annoying songs to the tune of Go West, and they play tricks on each other. They reference Monty Python and other British icons. They always have time for the fans, rabid for an autograph. 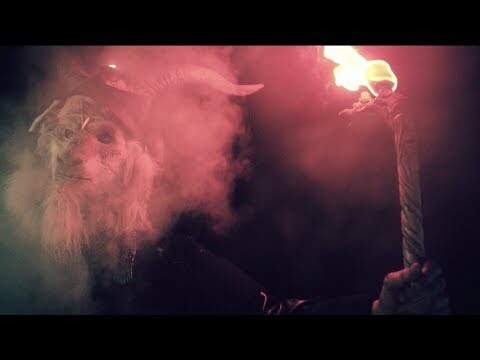 The music is as good as ever and they are one of the bands who actually bother to visit cities or towns that are rarely visited by other massive groups. The fans are so grateful we see them pour out adoration and even tears for their beloved Irons. One cries his soul out when getting a drumstick during a show. It is a very moving scene, he has obviously been touched by the experience. The doco is a powerful look at how to stay together as a band, they do not drink and do drugs liberally, instead take their music seriously and give everything to the fans and into the albums. They always seem upbeat in their approach to life, and I was quite taken aback by the optimism of all concerned and it was refreshing. Being in a band and making millions should be an experience to savour, not be burdened with. The crew seem to love their work and do not take it for granted. There are none of the obligatory shots of semi naked girls or demonised shots of angry band members. Instead the band are more role models, though they know how to swear as much as the fans do. The performances are snippets of their greatest tunes, played in various venues, such as my beloved all time favourite Rime Of The Ancient Mariner. To see Dickinson piloting the Ed Force One plane is surreal and it follows a map and we are on the journey. We are also treated to a lot of info about piloting, and it is quite astonishing to see how accomplished a pilot Dicko has become. Because of his skills, the band are able to fly quickly to their destinations with all their equipment on the same plane, and this is groundbreaking. 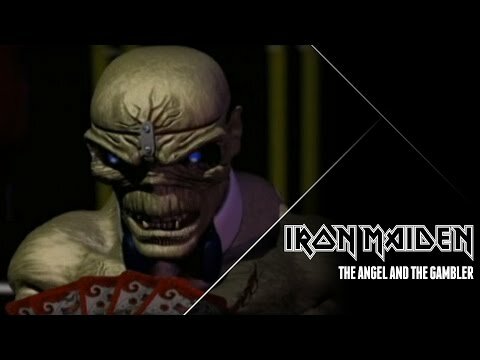 This is the best doco I have seen on Iron Maiden. The bonus disc consists of full versions of all the songs featured in the film. A must for fans of the monsters of metal. I'm in love with Iron Maiden now for 10 years, it al started when I was eleven years old. I saw the band live once, during the tour to promote this dvd. This was the best show I've ever seen and might see in my live. 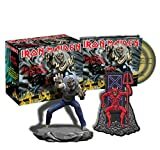 On this super-complete dvd we've got lot's of interesting Iron Maiden material, covering the first four albums and some footage of the band before the first album. The Early Days documentary. This 90 minutes of documentary that shows the prehistoric times of Iron Maiden. All former band members are discussed, the reason line-up changed, the circumstances they were in, who the material came to be, etc. This way we learn that there was an Iron Maiden that only had Steve Harris playing in it of all the current members. Interviews with the now unknown former members (1976-1979) are done in nice settings and it's nice to hear their stories. Steve Harris reflects on a lot of subjects and early member Dave Murray is also to be seen in some interviews. 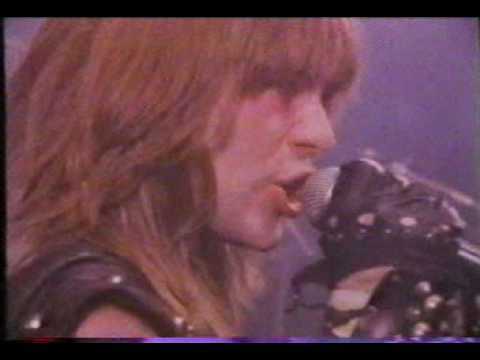 The old footage and photo's are nice for Iron Maiden fans. This documentary also shows a short making of of the first four albums and the line-up changes that occurred during that period. This dvd is a real threat for fans and it's fun to watch for people who are new to the band. The process of the creation of such an important band is interesting and fun to watch. LIVE AT THE RAINBOW, Filmed at The Rainbow, London, December 1980 This is pure gold! 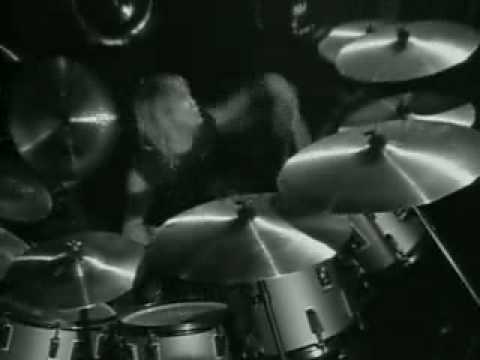 This set shows Iron Maiden playing seven songs from their first two albums, though Killers wasn't record yet. 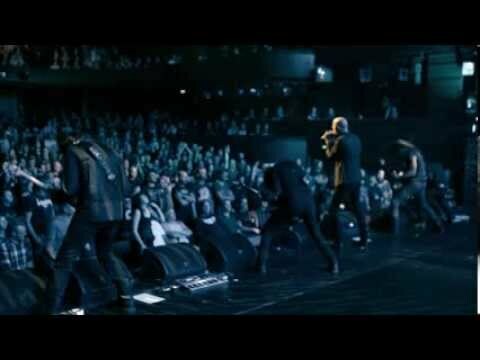 This particular part of dvd is mega-essential because of the wild performance of lead singer Paul di'Anno. There isn't any better footage of the band in this phase of the band! Iron Maiden plays very motivated, the songs are great and the people enthusiastic. They were so good in their early days! As I said, essential for both fans and people who like the metal/hard rock genre. BEAST OVER HAMMERSMITH, Filmed at Hammersmith Odeon, London, March 1982 One of the early shows Iron Maiden performed during the time Bruce Dickinson had joined the band and The Number of the Beast came to be. 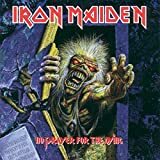 Iron Maiden plays unbelievably motivated and this can be seen as the one of the highlights of Iron Maiden's and vocalist Bruce Dickinson's career! Most tracks are from The Number of the Beast and the material is fresh! It's also nice the band included the important b-side Total Eclipse in their set. Essential metal footage. LIVE AT DORTMUND, Filmed at Rock and Pop Festival, Dortmunde, Westenfalle, Germany, 1983 This concert was recorded during the Piece of Mind tour. Most songs originate from this album. 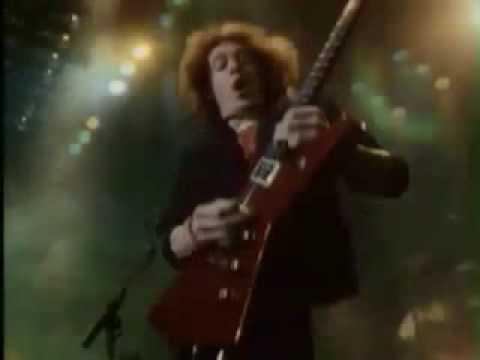 Though the footage is almost as good as the Beast over Hammersmith from 1982, it's lacks some of it's bombastic enthusiastic power of Hammersmith. Still this is a very interesting show and fans will appreciate this very much! EXTRA'S The first five clips of Iron Maiden and some top of the pops performances are nice, but they are less hard to find then the gigs on dvd one. Still a great bonus to complete the release. LIVE AT THE RUSKIN, Home Video filmed at The Ruskin Arms, 1980 This is home video footage of the band in an early stage. This might only appeal to hard-core Iron Maiden fans for it's historical value. Conclusion. This is the meaning of completeness! This is everything I could ever ask for, concerning the theme of this dvd. Five stars without doubt. Every fan should own this and others might be surprised on how energetic and complete this release is.